Is Google Hummingbird an SEO Game Changer? Discover It Here! Home > Blog > Blog > Is Google Hummingbird an SEO Game Changer? Discover It Here! Digital marketers again need to be alert as Google has announced a brand new algorithm called Hummingbird, a first of its kind in 12 years. This new algorithm will make search results more useful and relevant, especially when users search using long and complex phrases. Google has constantly been making changes to its algorithm with ‘Caffeine Update’ back in 2010, ‘Penguin’ in May 2013 and ‘Panda’ in 2012. However, this time Google has tried to make a huge change in its algorithm by launching humming bird. With an intention to make it more sentient, Google has rewritten its entire search algorithm for the first time in last 12 years and have named it as Hummingbird. This new search algorithm is for sure going to impact on the way people are conducting search engine optimization. Before the Penguin and panda updates, many marketers were frequently practicing black hat tactics to get their website up on the search engine ranking pages however these two updates were successful in keeping a control on it. And now after Hummingbird things will become stricter than ever. Marketers will now need to become more serious about the content. They will need to think beforehand about the questions that the searchers might ask for and create relevant and helpful content based on them. It is really good news for serious content creators and not for those who are spinning content with software or stuffing keywords in their content unnecessarily. Link building will be as important as it has been up till now in building brands and improving overall authority of the website. 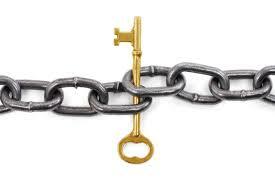 However it should be ensured at the same time that links should be relevant and affixed with good content. Authorship will again be valued even by the hummingbird update. It will enhance a business’s reputation on Google by the trust and credibility that it has gained over time from those related articles and the SEO authorship link, eventually increasing the ranking and search traffic. So the digital marketers will need to register to authorship if they have not already, write quality content and promote it through effective social media channels as it will enhance the visibility of their site in search engine ranking pages. Whatever changes Hummingbird is going to bring in the way we optimize our website for search engines, it is for sure that it is signal of beginning of an exciting new era in digital marketing. However, if you have original, high quality and helpful content with high-quality and relevant websites linking to your website, then things would remain the same for you and your website will still rank well in search engine ranking pages. But yes, things would of course change for them who are still practicing the unethical ways of SEO be it is their intention or ignorance.